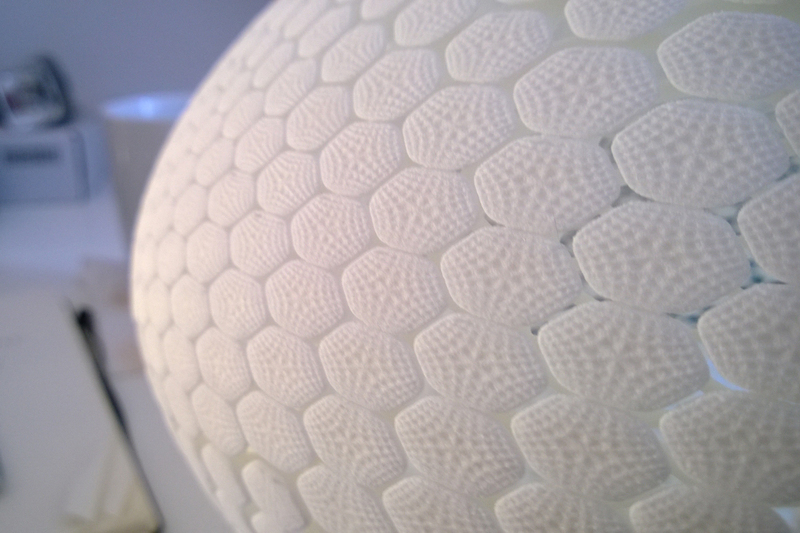 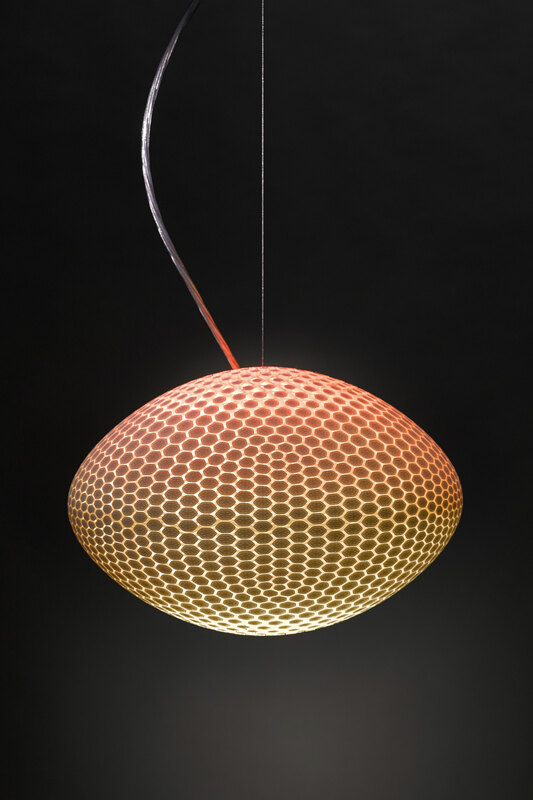 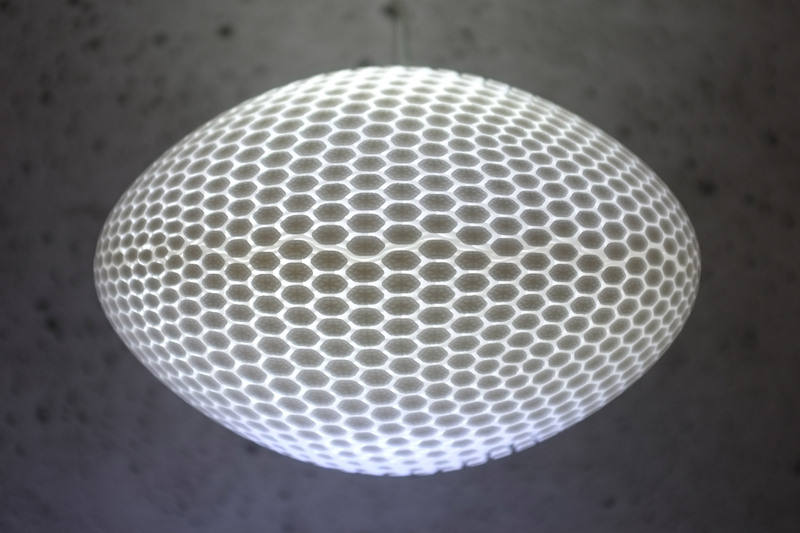 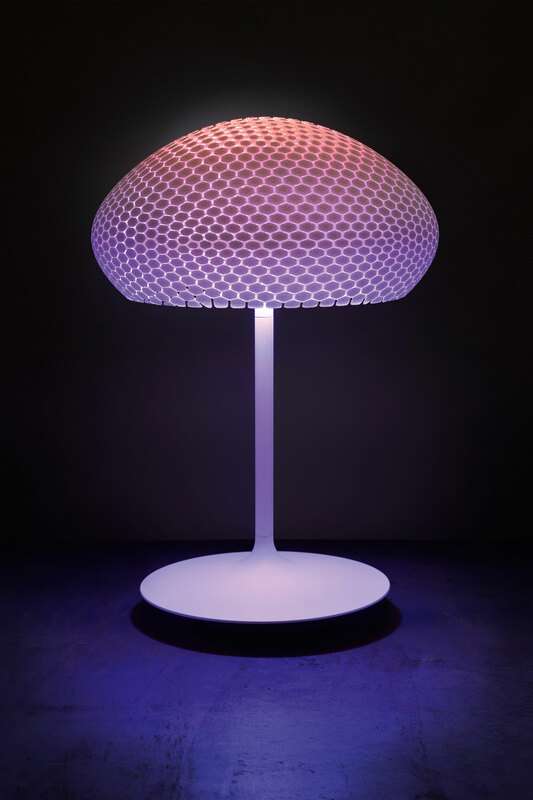 Entity combines the most modern of manufacturing and lighting technologies – 3D printing and the Philips Hue System . 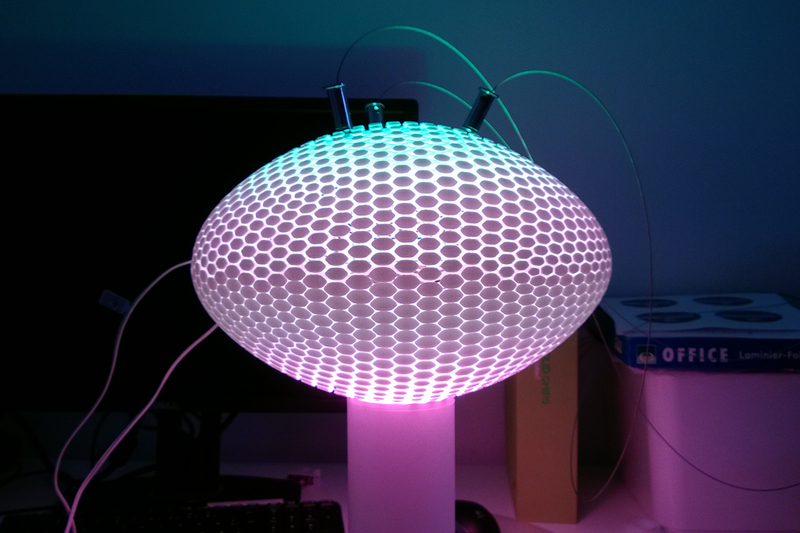 The two Hue modules inside Entity are controlled via an app on your connected device, and each one can display more than 16 million different colours. 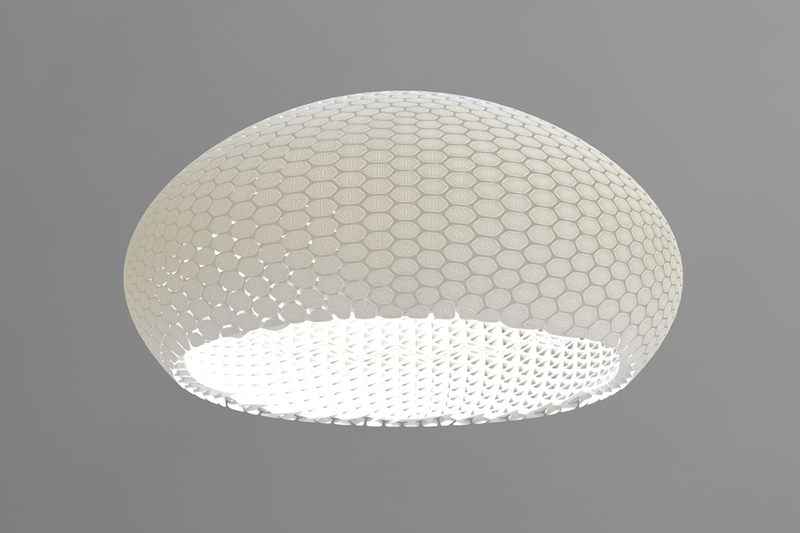 This allows to have very subtle lighting scenarios, but also quite bold ones, as well as bright and dimmed lighting. 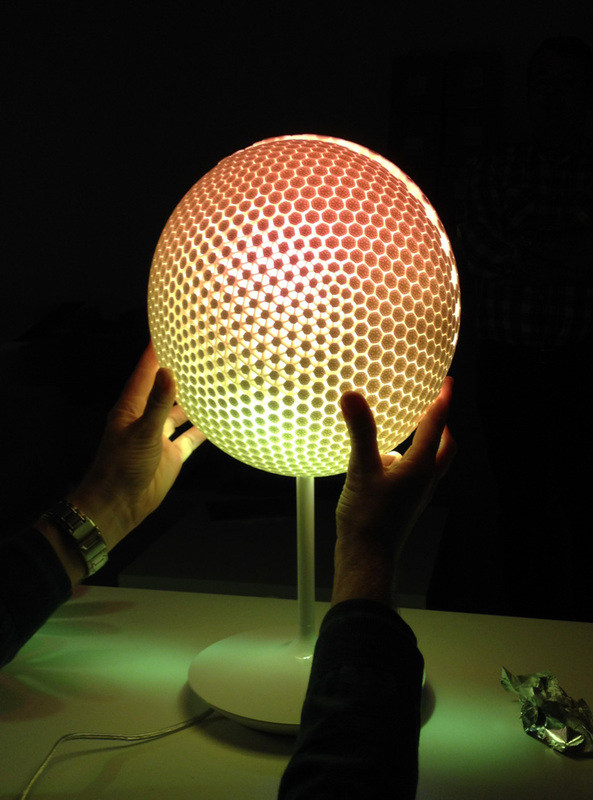 On 30th April 2014 Entity was introduced to the public during the Light & Building fair in Frankfurt. 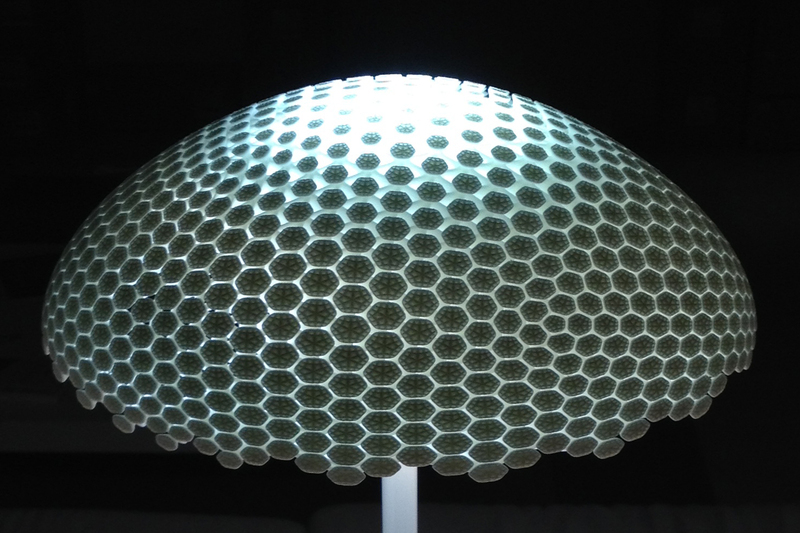 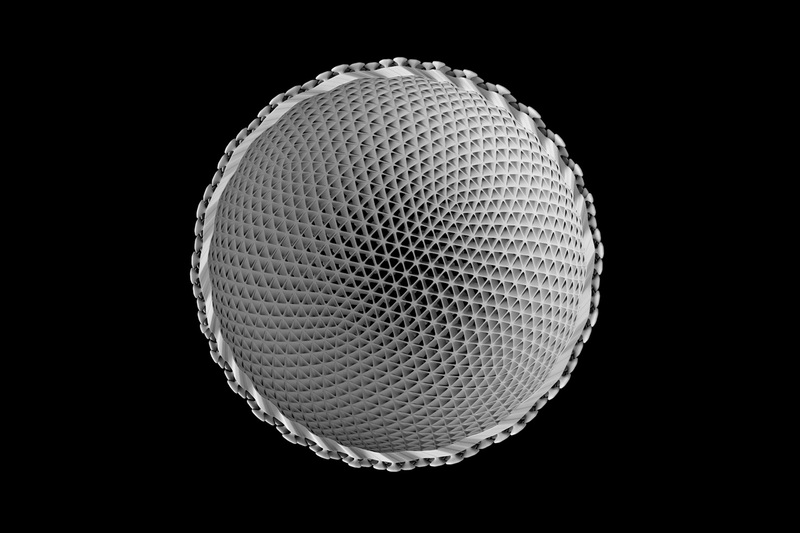 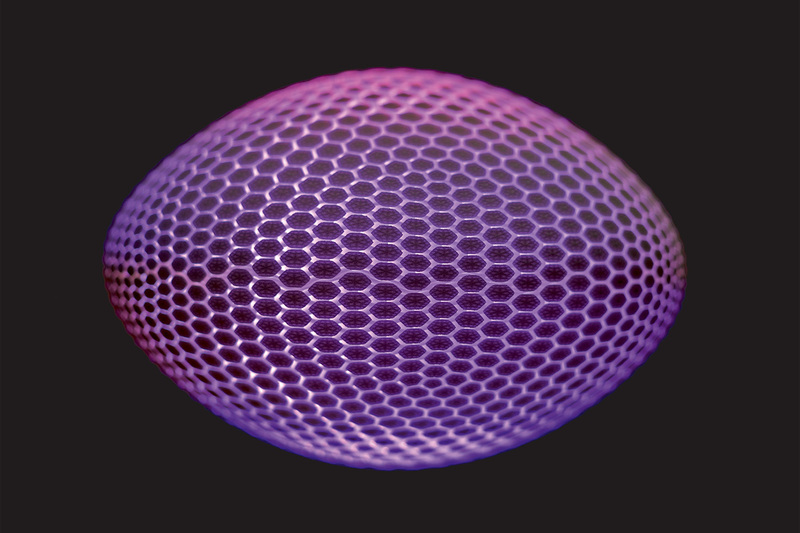 The design was inspired by structures found in nature and mathematics, and every aspect follows the set parameters of the light modules inside – the general form results from the light propagation, the outer structure is more closed where the LED’s would give glare to the beholder, and opens up to the top and bottom to give out as much light as possible in these areas. 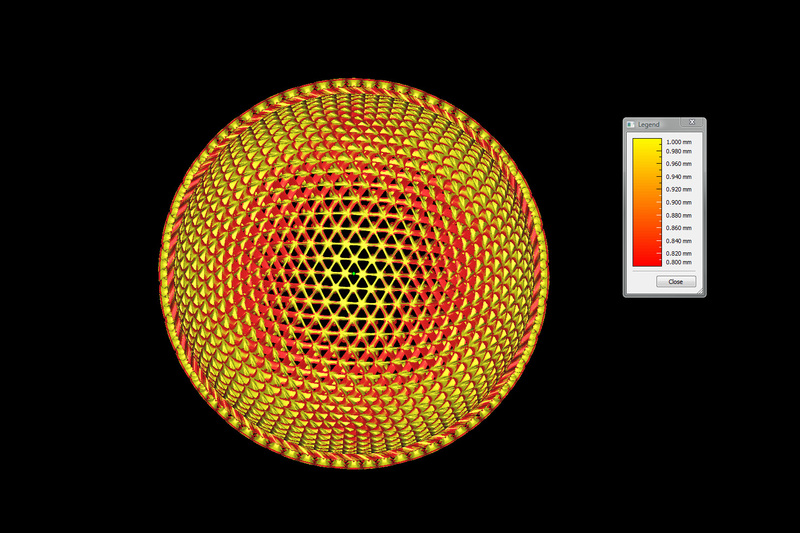 An inner grid holds everything together. 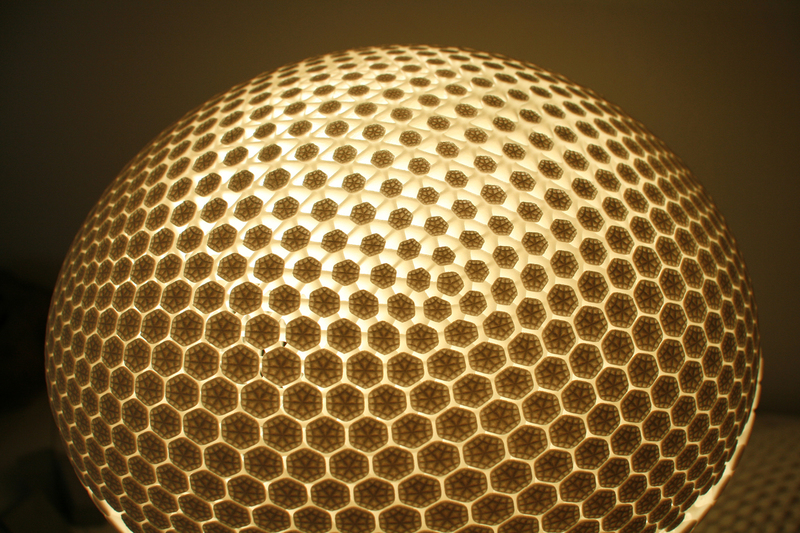 A lot of work went into optimizing the CAD files to make it as cost effective and quickly printable as possible – making the shells in two parts, hiding the split line, going as thin as possible with the material thicknesses and applying different surface textures to avoid printing errors.